Matcha is a finely ground powder of specially processed green tea, 'special' because the tea leaves are covered with shade cloths before they are harvested, giving it a stronger flavour and retaining more nutrients. 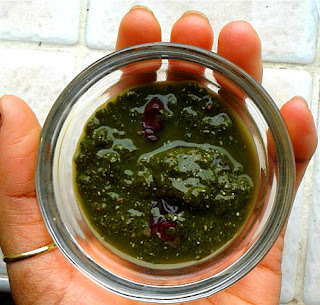 Japanese tea ceremonies focus on the preparation of matcha as it is very meditative, very zen. 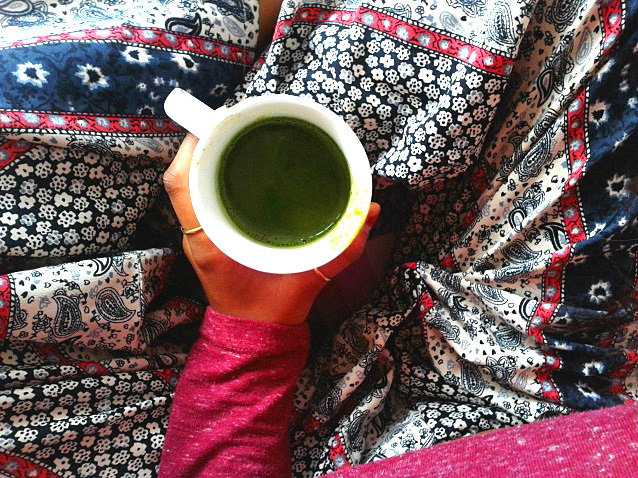 Matcha is known for these calming affects, due to it being rich in amino-acids, almost giving you a feeling of drowsiness. It definitely makes you slow down. When I was trying these three recipes, one after the other - okay, fine, all three at once, I was running around quite a bit, but when I started sipping the latte, I was starting to wonder what was up because it slowed me right down! Not only does matcha chill you ouuuut, but it is also full of antioxidants, as matcha is made from the juiciest part of the tea leaf, helping regulate blood sugar levels and keeping you alert for longer periods of time than a cup of normal green tea. 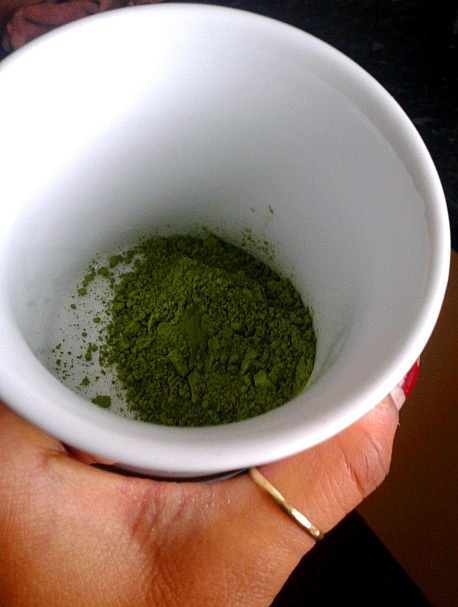 In fact, one cup of matcha tea is apparently equivalent to drinking ten cups of normal green tea! 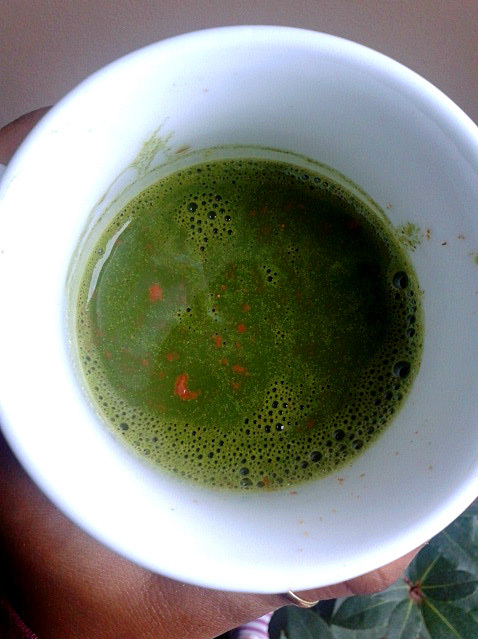 As well as that, the chlorophyll in it is also detoxifying, it can increase your metabolism and boost your immune system. So, basically, matcha is the epitome of 'superfood'! 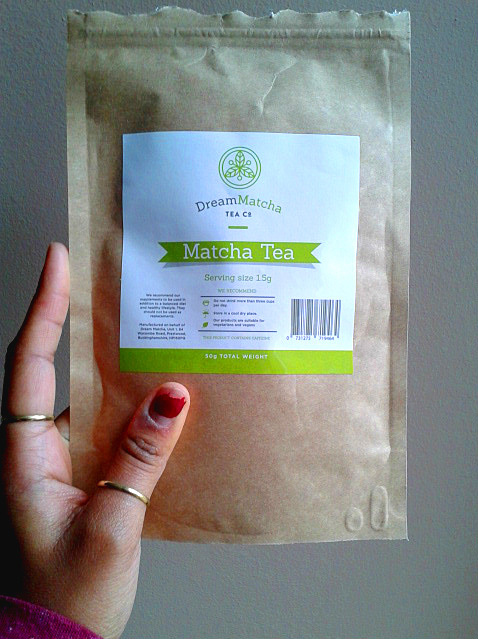 Dream Matcha very kindly sent me a 50g packet of their Premium Matcha Green Tea Powder, which you can buy on their website for £13.99, so I created three different recipes to really put it to the test! 1. 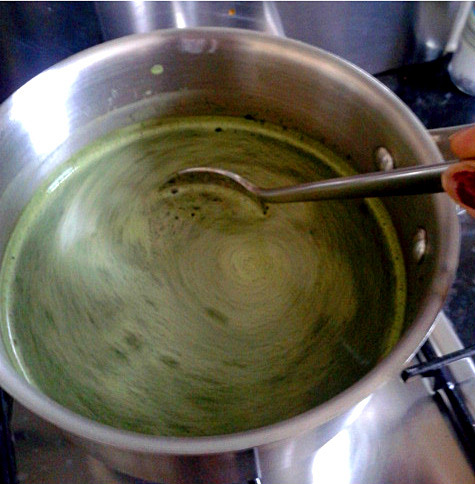 Stir the Matcha into the Water. 3. 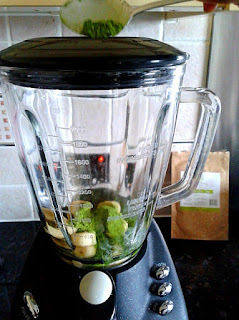 Whisk the Matcha mixture into the Milk and add the Cinnamon. 4. Sweeten with Syrup if you wish and sprinkle some more cinnamon on top. The earthy taste of the matcha was strong in this latte (maybe the cinnamon helped enhance it too?) but it also had a subtle sweetness to it. I prefer the earthy taste to be a little more subtle than that which is why I decided to balance it out with some syrup. 3. Turn off the heat, stir in your sweetener and leave to cool. 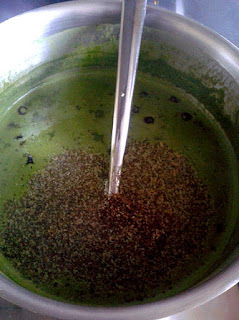 The jam should thicken further as it cools but you can also add more Chia seeds to thicken it. 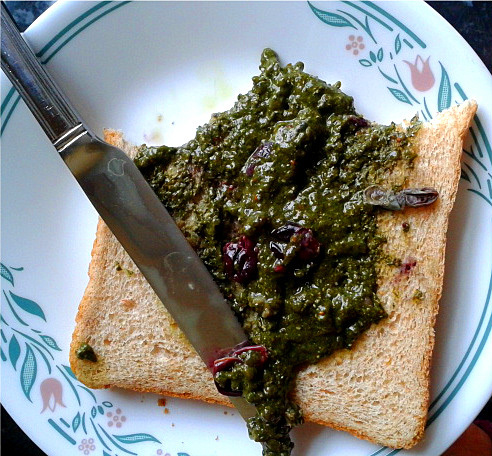 I didn't add a sweetener to it and the sweetness of the blueberries, though quite subtle, balanced out the earthy taste of the matcha, so I'd say this jam could just about be both savoury and sweet! 1. Simply put all the ingredients in a blender and blend! 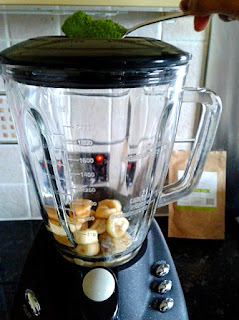 By far my favourite of the three, the milkshake turned out thick and creamy. The earthiness was balanced by the coolness this time which I preferred and the sweetness was actually more of a background taste. 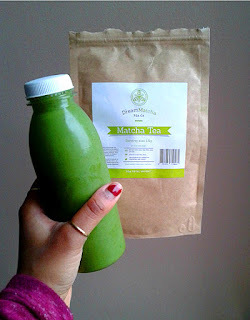 However, the taste was almost dense in comparison to that amazing matcha milkshake I tried last year which I've already mentioned way too many times in this post...but hey, it was a great milkshake!